Move the server browser window onto your secondary monitor. Once the session starts, click the Battlescreen button that appears on the blue bar in the server browser. Optionally, switch the web browser to fullscreen mode (F11) to hide other interface elements. The game will now work normally with the Battlescreen showing map information in real time during the match. Running the game borderless makes it quicker to switch between the two but might reduce performance. meta.xml, PROFSAVE, PROFSAVE_header and PROFSAVE_profile are the save files. 60-120° in multiplayer; for single-player use Flawless Widescreen. Low to High Post AA, up to 4x MSAA, and resolution scale for SSAA. Set in Options, Video; alters HUD colors and text/icon borders. Enable Raw Mouse Input to disable acceleration. In-game prompts always refer to keyboard keys. Supports full controller remapping on XInput controllers. Only in menus. Keyboard keys during gameplay. Servers use PunkBuster and Fairfight anti-cheat protection. 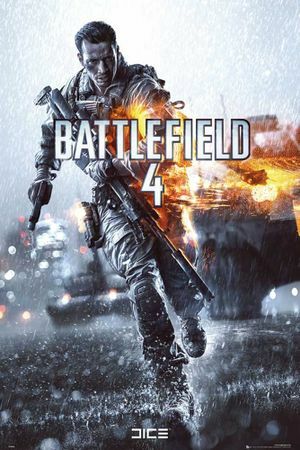 See Helix Mod: Battlefield 4. Game disconnected: you were kicked by PunkBuster. Stated reason: PunkBuster kicked player '(player name)' (for 0 minutes) ... RESTRICTION: Service Communication Failure: PnkBstrA.exe. On Origin, right click on the game and select Repair. Go to <path-to-game>\__Installer\punkbuster\redist\ and open pbsvc.exe. Select Install/Re-install PunkBuster Service and reboot once it is finished. Open the file again and chose Test Services to verify it is working correctly. Download PBSetup and follow the instructions provided on the website. Input perfoverlay.drawfps 1 to display frame rate. Input PerfOverlay.DrawGraph 1 to display hardware usage. Input NetworkPerfOverlay.DrawGraph 1 to show network debug. You can create user.cfg in the installation folder through Notepad, paste these commands and save, so they will be permanently enabled. You can have these commands run automatically, whenever you start the game, by entering them in user.cfg in the Battlefield 4 installation folder (the file won't exist by default, you can create it through a Notepad and save as a .cfg file). Type ui.drawenable 0. You can auto-complete the command by pressing Tab after ui. To restore the HUD, open the console once again, repeat the same command (quick access by Arrow Up), but this time use 1 instead of 0.